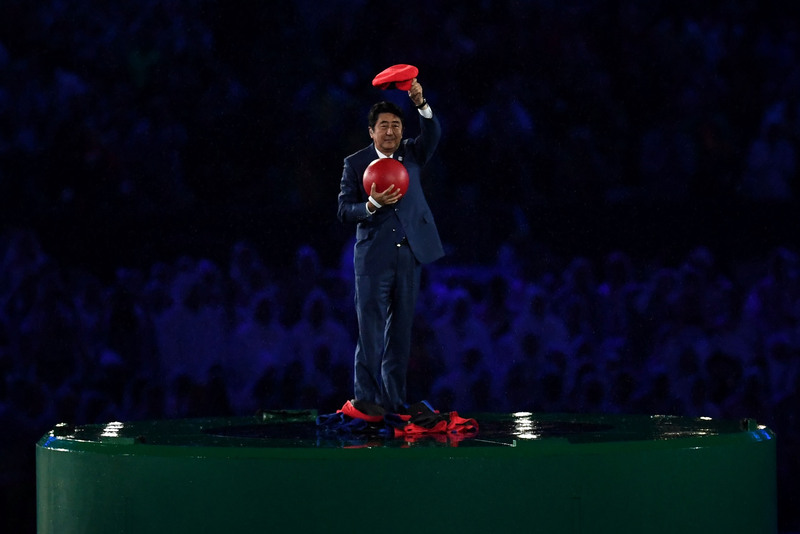 In case you needed a reason to already get excited for the 2020 Olympics in Tokyo, Japanese Prime Minister Shinzo Abe posed as Super Mario, making for the single greatest moment of the closing ceremony. Abe introduced Japan's upcoming summer games dressed as the country's most classic figure (complete with the iconic red hat and plumber overalls). In doing so, the prime minister showed that Tokyo is ready to go all out in 2020, even if it means calling on some video games characters for support. The stunning introduction, already filled with much of the technological prowess Japan has promised for their games, began with a simpler premise: a video of Mario walking through the streets of Tokyo and jumping into a green pipe. That's a Warp Pipe for those who are unfamiliar with the video games, and allows characters to be transported across long, seemingly disconnected distances. After jumping into the pipe, Mario was seen traveling through flashing space, and ultimately emerged on the other side. The Prime Minister's eagerness to participate in the closing ceremony — even dressed as Mario — should come as no surprise. Shinzo was thrilled when Tokyo won their bid for the 2020 Olympics. Upon hearing the news, he said: "I heard the name Tokyo. I was so touched, overwhelmed. The joy was even greater than when I won my own election." With that in mind, Japan's "It's-a-me, Mario!" introduction is just the first great moment of what will surely be an awesome Olympics.